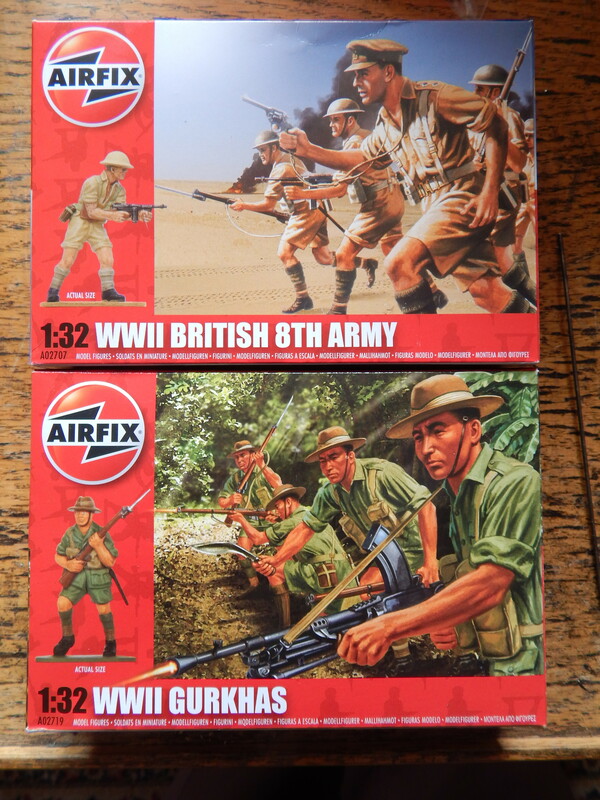 Purchased these two boxes whilst they were ‘half price while stocks last’ on the Airfix website. Before starting to paint it is recommended that the models are washed. 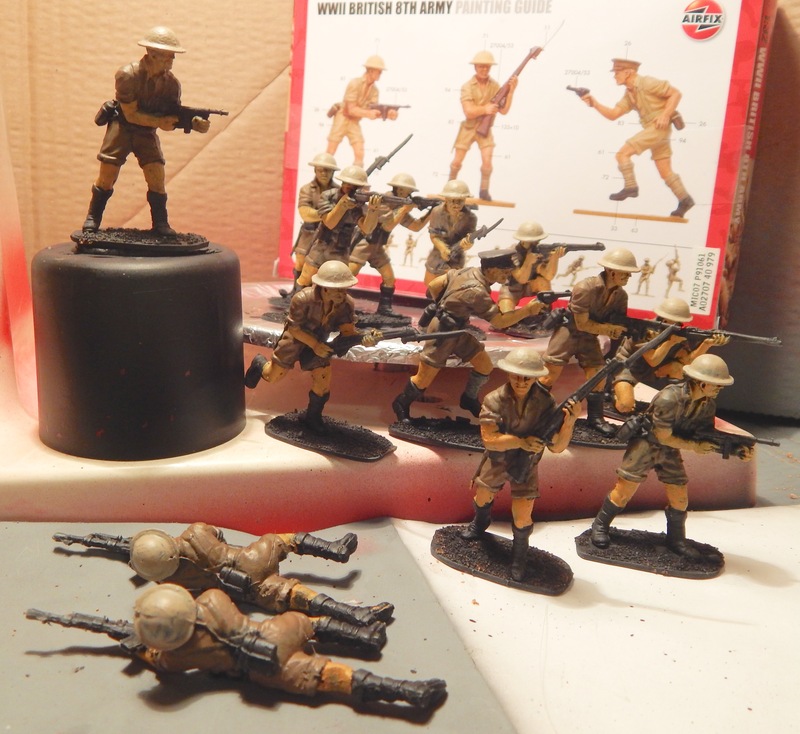 The 8th Army get a coat of Halfords grey plastic primer after having given them a good wash and removing mould lines and excess plastic with a modelling knife and a needle file. Mould lines where pretty extreme in places so I went over each model and filed a bit more then gave another quick spray of primer. Next the shadows were airbrushed in with a coat of chaos black. 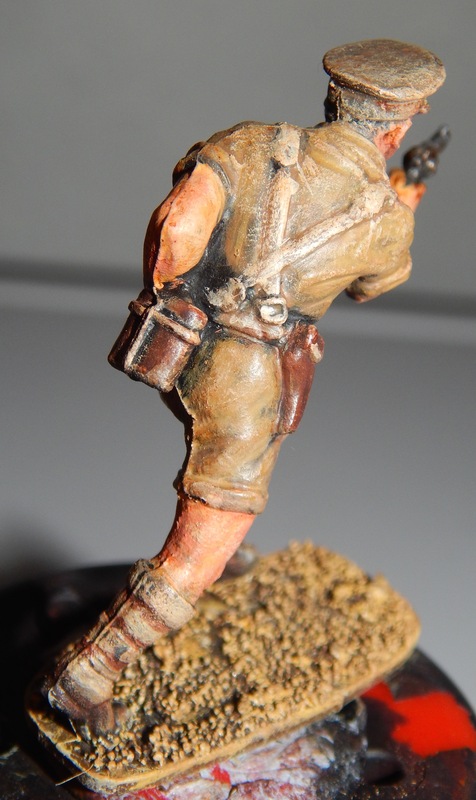 I added sand to the bases with PVA glue and also sprayed black. 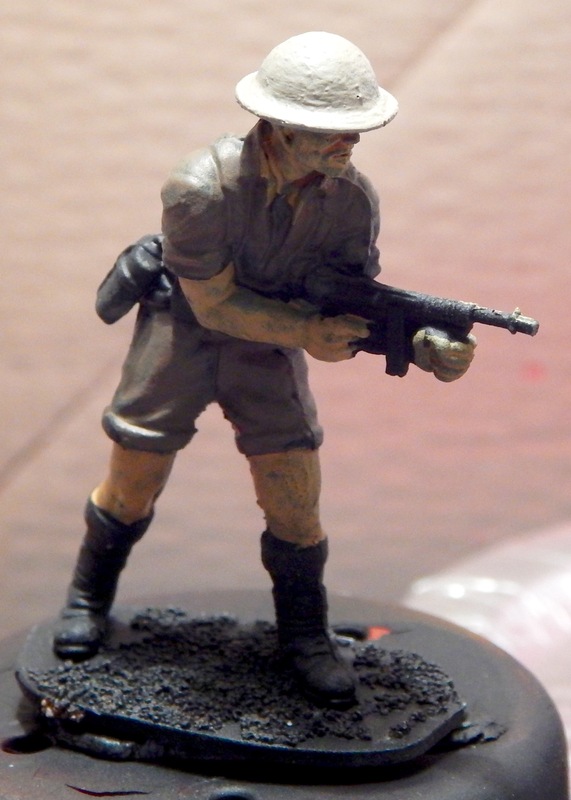 I then base coated the flesh parts with vomit brown, the hats with commando kahki and jackets and shorts with ?. Starting to look quite good. Next I will base coat the socks, the leather belts and the weapons. Added some more highlights to the uniforms and started to base coat the socks belts and attachments. Still quite a bit of work to do before I get to that stage though. Here’s the Captain? 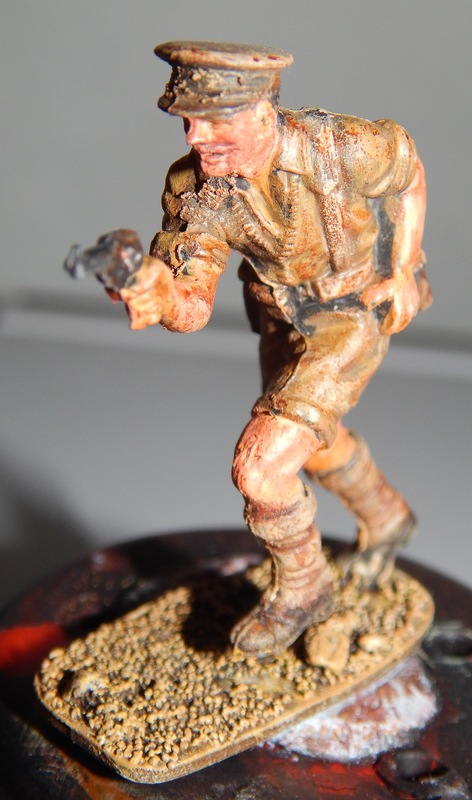 more or less finished – not sure the brown wash was all that effective but I quite like the desert base.